There are many low vision reading aids to help those with macular degeneration continue reading. 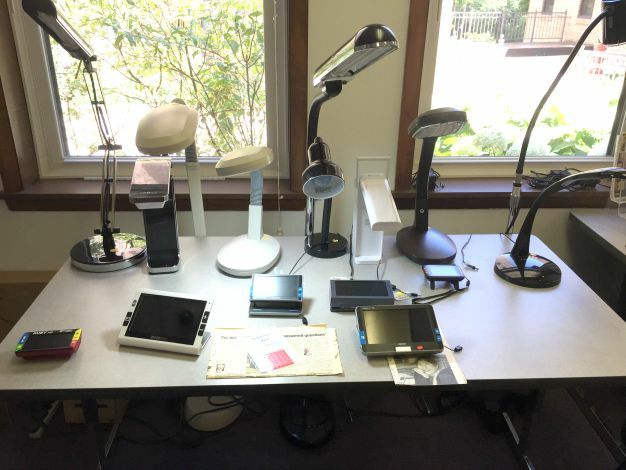 With the use of proper lighting, low vision rehabilitation, large print books, electronic book readers, and magnifying reading glasses you can continue to enjoy reading your favorite magazines, newspapers and books. Today there is such a variety of books and magazines that come in large, bold print. These books can be purchased at some book stores, ordered on line or found for free at your local library. Consider switching to large print books as your macular degeneration progresses. Do not give up reading - large print books offer bolder print, larger fonts and pages with larger margins and with less glare. When reading becomes more of a challenge find ways to adapt by combining reading magnifiers, better lighting and large print books. You may need all three. It is easy to purchase large print books on line or you can get them for free from your local library. One of the simplest ways to help with your reading is to get adequate and better light. With macular degeneration, lighting is so critical and improving the kind of light or amount of light can really help you see your reading material so much better. As your macular degeneration progresses you will need more light - in more places and brighter light that doesn't produce glare. Very often it is possible that less magnification is needed if good lighting is used. E book readers like the Kindle Paperwhite, iPad, or Barnes and Noble Nook turn every book, magazine and newspaper into large print. Books, magazines and newspapers are easily downloaded to a portable and lightweight electronic book reader. No need for a computer. 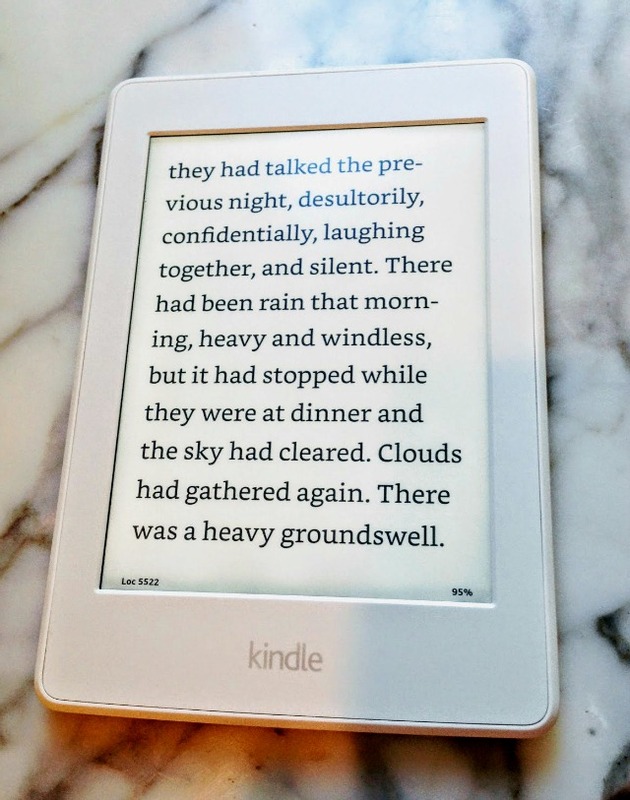 The Kindle Paperwhite and the new Kindle Voyage feature a built-in light with the ability to adjust the brightness - it is backlit but does not have the glare that comes with the color electronic readers. As with all ebook readers, the Kindle Paperwhite features font magnification , but also offers choices for font styles. This reader is most like reading a real book. The white background and crisp, bold black lettering provides better contrast and makes it easy to read without eye strain. Easy to navigate and use with a simple touch screen means even those who are not familiar with today's electronic will find reading with it a pleasure. There are many types of magnifiers to assist you with your reading. 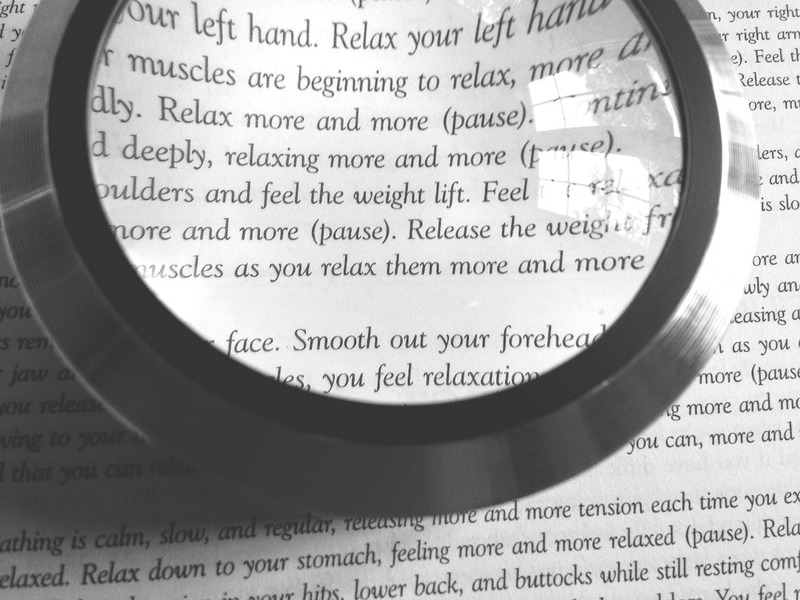 While a hand held magnifier is good for spot reading - such as checking a bill or looking at a simple instruction sheet they are NOT good for reading books or long articles. Instead choose a reading magnifier that is hands free and provides light. The combination of magnification and illumination will make the biggest difference is being able to see words well enough to read. 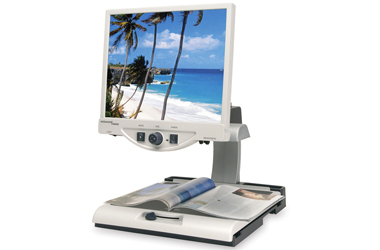 Page magnifiers are a functional and versatile macular degeneration magnifier. 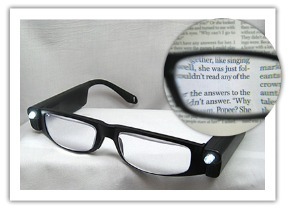 They enhance your reading experience by magnifying a whole page or just a particular section of the page. You can find full page magnifiers that are made of a high quality plastic or acrylic lens or a glass lens. Magnification power is usually 2x, 2.5x, and 3x power. 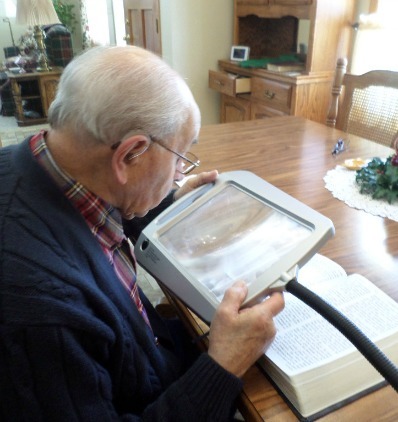 A lighted full page magnifier with an adjustable arm has been my father-in-law's favorite reading magnifier. The bright LED lights means he needs less magnification, which means he can see more words on a page. Download or listen to free audio books on line with the Librivox app. There are two Librivox app options. Find out which is best and how you can start downloading and listening to audio books for free. A low vision CCTV - closed circuit television - projects your reading material onto a monitor, a regular television or a computer screen. The most expensive models have large, 17"- 19", flat screen monitors and run just over $3,000. Magnifying reading glasses are the most commonly prescribed low vision aid. A new technology that combines concentrated lighting, magnification, and prism correction allows those with low vision from macular degeneration to read. Your favorite newspaper can be turned into large print using one of several macular degeneration aids for reading. A dome magnifier glides across the newspaper enlarging the font and making it easier to stay in focus compared to a handheld magnifier. 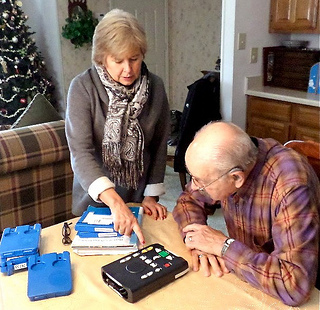 If you are looking to subscribe to your favorite daily newspaper in a large print edition, it is now possible - thanks to new low vision technology - called electronic readers. 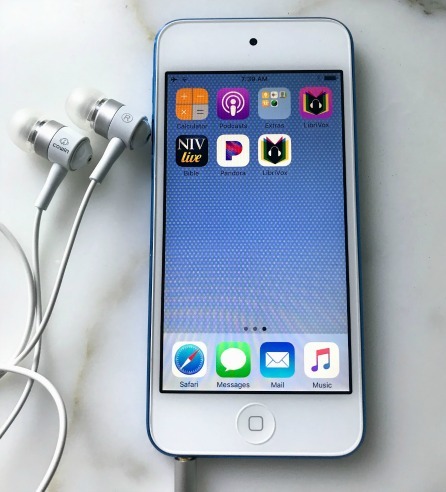 Audio books can be listened to on your Kindle reader, Barnes and Noble Nook, iPod, laptop computer, smart phone or just about any other electronic device. Of course audio books can still be listened to using a CD or traditional tape players as well. The best and easiest resource is to first check with your local library. Our library carries a nice selection of books on tape and will try to fulfill requests when possible. Free books on tape are available from the National Library Service for the Blind and Physically Handicapped for those who live in the United States. Each state is serviced by a library that loans the cassette player and books on tape. You can request an application by calling 1-800-424-8567. They provide FREE recorded materials through the Library of Congress. 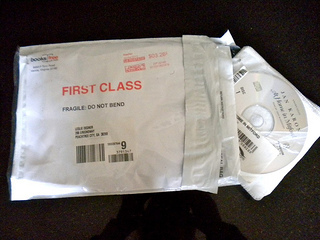 Audio books for the blind are delivered to eligible readers by mail for free and are returned in prepaid labeled mailers. Once your application is submitted and processed, a specially designed cassette player is mailed out and the book selection can be made by either the library based on your preferences or by specific request of a title or author.